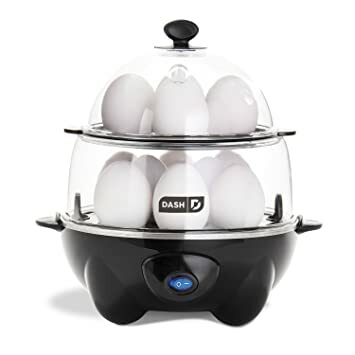 Today only, April 9th, On Amazon.com where you can now get this Dash Deluxe Rapid Egg Cooker with 12 Egg Capacity for only $17.99 (regularly $29.99+) – choose from several different colors. This egg cooker makes up to twelve perfectly cooked eggs at once allowing you to choose from hard, medium, soft boiled, poached eggs, scrambled eggs, and even individual omelets! You can also use this device to steam vegetables, dumplings, seafood, warm tortillas, and more!